Are there too many plug-in formats? Would making one single standard be beneficial? Most plug-in developers provide their products in multiple formats. It's widely accepted that universal standards are a good thing. Take MIDI, for example: for the best part of 30 years it's made it easy for musicians to connect up their gear and make it talk to each other. It's slightly surprising, then, that so few universal standards actually exist. In fact, in one particular area of music technology, things seem increasingly fragmented; we refer to the plug-in market, where acronyms rule. First came VST and DX (DirectX); then we got AU and RTAS. It hasn't stopped there, though: only last year Avid launched the new AAX format for Pro Tools; and just prior to 2012's Musikmesse show, Propellerhead previewed its Rack Extension (RE) tech, which enables third-party devices to be brought into Reason at last. The companies that developed these different formats would doubtless argue that they're necessary because they all work in slightly different ways, but what does this proliferation of standards actually mean for developers and users? Aside from the confusion it inevitably provokes in computer music newcomers, are there any other more serious consequences of living in such a diverse plug-in landscape? Let's start our discussion at the beginning of the process: the coding of the plug-in. Most devs now sell their wares in a variety of formats, but can they write them in a 'universal' way, or do they have to create for one standard and then convert to the others? "Speaking specifically for Audio Damage, we code in VST3 now," says AD's Chris Randall. "Steinberg's VST3 kit includes built-in wrappers for VST2.4 and Audio Units, which simplifies matters greatly. "So yes, it is possible to write a plug-in in one format that can then be used to make all the others. Generally speaking, this is VST. We don't build RTAS or AAX, so I can't speak for those, but the same general rules apply." "The notion that creating one single plug-in standard would result in lower prices may be something of a fallacy." Developing for multiple formats doesn't seem to be a problem for Audio Damage, then, and when we spoke to Urs Heckmann of u-he, he confirmed that the process is relatively painless for him too. "We primarily develop on Mac, where we automatically get VST, AU and now also VST3 (currently 'beta-ish') out of each compile," he reveals. "Generally, there's literally no time spent on porting things." One potential bugbear for plug-in customers is that they're paying extra for versions of software that they're never going to use, but given how easy it seems to be for developers to create multi-format plug-ins, the notion that creating one single standard would result in lower prices may be something of a fallacy. That's certainly the view of Chris Randall. "I don't think [a universal standard] would have any effect on the price at all," he says. "It takes us six months to make the VST3 (including development time), and about 15 minutes to make an Audio Unit from that VST3. Taken as a whole, the porting process from VST3 to AU isn't even a blip on the radar. The customer is paying for the first six months, not the last 15 minutes." Based on what we've heard so far, you might think that problems with the multi-format plug-in scenario are few and far between. However, Propellerhead has recently thrown a curve ball with the launch of the Rack Extension format. Conceptually, this is slightly different to the other standards we've been talking about, as all REs are sold via Propellerhead's store and must have the look and feel of other Reason devices. So, how do our guest developers feel about Rack Extensions specifically, and the 'walled garden' approach to software in general? "It's going to be very easy for some developers to port their stuff, but next to impossible for others - though this may change when Propellerhead add more features over time," says Urs Heckmann. "We're in the lucky position to have products that are easily ported, but we also have products that we can't port as of yet. "Propellerhead has recently thrown a curve ball with the launch of the Rack Extension format." "I do believe that the general [walled garden] concept of Rack Extensions is genius. So yes, I guess others will try to copy that." Chris Randall confirms that the ease with which a Rack Extension can be created depends on how the plug-in in question was originally built: "My gut feeling is that it's more complex than just rebuilding, less complex than making it from scratch, and it really depends on how the individual developer made his plug-in in the first place," he says. "With a 'walled garden' approach, you only have to deal with the personality quirks of a single host, and this is, in the scheme of things, quite nice." The 'closed' nature of Rack Extensions bears casual comparison with the way that Apple runs its App Store, stoking speculation that the behemoth might now consider creating a bespoke plug-in store for Logic. One issue with solutions like this, though, is that everything has to be bought from the same place. Is it going to be the case, then, that people who already own a particular plug-in will have to pay again for the Rack Extension version? 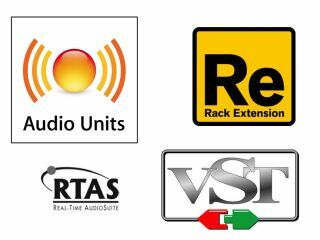 "We had hoped to have coupon codes for existing customers, but as it turns out, the Rack Extension store won't have that feature at the beginning," says Urs Heckmann. "So we're not quite sure how to deal with this yet. We'll probably recommend that existing users wait until something gets worked out with Propellerhead, or we'll offer some sort of a refund system within our own store. I just hope to find a clean solution because I don't want to charge our customers twice." Chris Randall believes that there's potentially enough work involved in creating a Rack Extension to justify charging a customer again. "Due to the very different nature of RE plug-ins and the environment they live in, they really can't share any code but the DSP itself," he explains. "So it is essentially making another plug-in. We aren't going to do this unless there is a fiscal incentive to do so. Our feeling is that we will probably make the Rack Extension a separate purchase, albeit at a lower price point." Depending on how successful Propellerhead is with Rack Extensions, we may yet see other companies adopting similar systems, which could lead to an even more fragmented plug-in market than we have now. At the moment, though, Chris Randall believes that, when compared to other creative software users, music-makers have it pretty good. "Look at it this way," he says. "If you buy a plug-in for After Effects, you can't use it in any other motion graphics suite. If you buy a plug-in for 3D Studio Max, you can't use it in Maya or Blender. "But if you buy a VST plug-in for Live, not only can you use it in some 80 other DAWs, soft synth hosts (like Kore or Maschine) and hardware platforms (Receptor), but you can do it on both Mac and PC, and in some cases Linux - and you'll also get at least one, if not several, other formats. "As far as plug-in technology goes, the music industry really has its act together." This article originally appeared in issue 179 of Computer Music magazine.